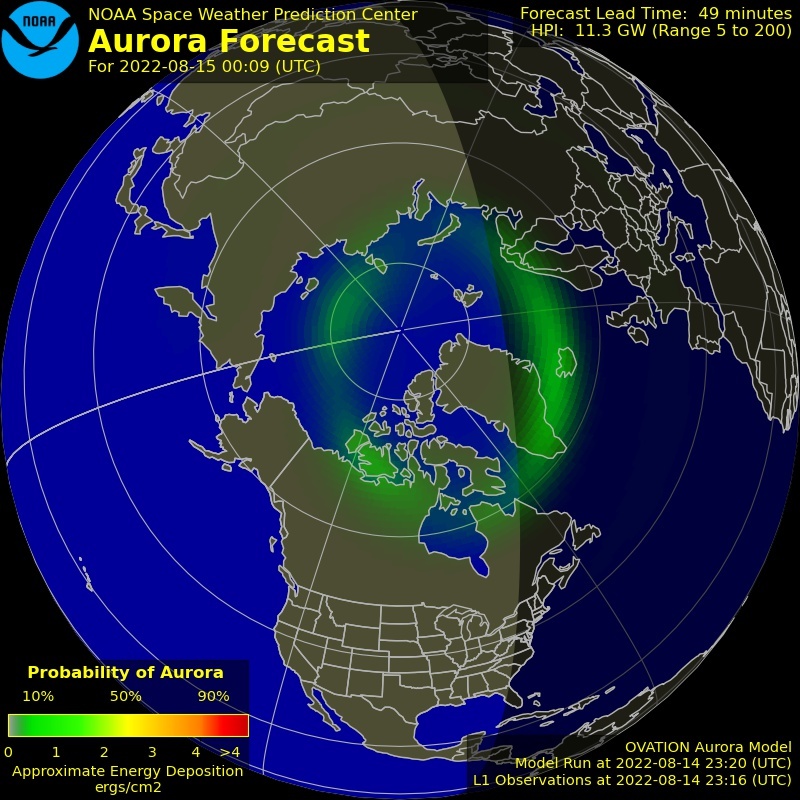 Holm is located on the 62 latitude where there are good chances to see the northern lights a clear winter with very geomagnetic activity in atmossfären. Below is automatically updated observations and forecasts in order to see the northern lights. Note that the times stated here in UT. Swedish time is + 1h + 2h in winter and summer. Norrsken, aurora borealis, due to solar storms with electromagnetic energy which is thrown out from the sun and the earth's magnetic field results. Thereby energy is released and forms a beautiful glow. Want to learn more about the Northern Lights is a small movie about the whole process this, a Norwegian documentary this or more shorter American educational films this. Northern Lights requires clear weather for good visibility. See closer in the forecast for Holm or Sundsvall. Special satellite image of the current cloudy over Sweden you will find this. Magneto Gram Sundsvall. Larger deviations in the magnetic field gives rise to more northern lights. Bz (green) must be below the line (minusladdat) Northern lights to be seen. Source. How to read the table? Se fler transcription this. The model calculates the energy of the aurora oval on 30 min based on data from the ACE satellite. At values <20 GW = little / no northern lights, 20-50 GW = opportunity to see near the northern lights, >50 = Great chance to see a lot of activity and movement in the sky. >100 GW = The Northern Lights can be seen hundreds of mil away. The model shows not only the intensity of the aurora oval, but also where you can see polar lights right now. The red line shows where you can see the low polar lights on the horizon. The Northern Lights can be seen alltås north of the red line. The probability is graded by color scale. The bar chart provides a forecast for the northern lights närsmsta days. “Kp-index” indicates geomagnetic activity. 1-3= Calm magnetic, 4-5= Active magnetic, 6-8=storm, 9= Heavy storm. 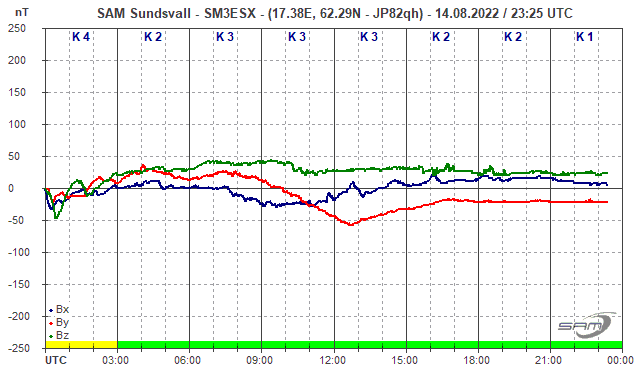 From the Kp index 3 there is a chance that the northern lights can be seen from Holm and Sundsvall (source). Learn more about Kp-Index this. Forecasts from Alaska geomagnetic institute, Norwegian TV and SpaceWeatherLive.com. North of the narrow line is possible to see the aurora borealis. Field shows the observed data, while the yellow line illustrates the forecast data. See more real-time gauge of the space weather data Spaceweatherlive.com, NOAA / Space Weather Prediction Center this and this, or directly from ACE satellite. 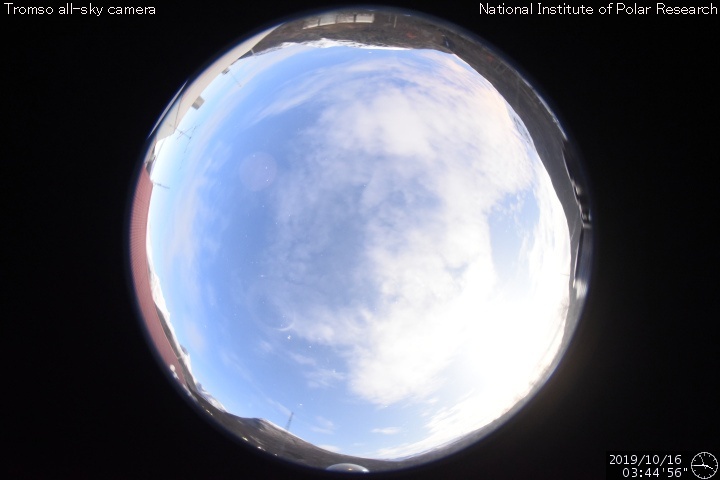 Web camera 360 degrees across the sky in Tromso, Norway, which is at a high latitude north of Sweden the northern lights can often be seen.